I love this one, totally my cup of tea (first I didn't really like the music, but finally it's ok =)). Colors, graphics and effects are so beautiful. Where art they oh romeo? Totally Wicked this demo great sensation! and the music is.. well.. GREAT! Just fricking beautiful and uplifting. Reeespect!!! Partly a bit ASD:ish, but very nice. Once again, I love your works! RK track is just great (that's the one i had too). Again, I feel like I'm watching another recycled Traction demo, except more wireframes and particles than the last. As talented as Preacher is, this doesn't capture my interest. It very polished though and nice to see some classic scene names in the credits. Rulez!! Cool show on the big screen! liked this a lot during the live stream... caracolillos rules!!! visually beautiful but the style of music just is not my blue bucket. Very ASDish indeed,though I still prefer ASD's demos (and older Traction demos). The colors really disagreed with me in some scenes. But overall the visuals were good and I liked the soundtrack. The aspect which reminds of ASD is no bad ripoff (like often with imitations in so many prods) but done extremely beautiful and stands on its own. Very nice, pretty and round. Heh, there are indeed ASD vibes in this, and as Preacher told me at the partyplace when Traction started making this they were like "let's go ASD" (for which of course we feel honoured). The vibes indeed are there but this is absolutely not a ripoff. It's an excellent demo and I enjoyed it thoroughly on the big screen. I especially loved that colorful flower-blooming-like effect (gah I can't describe it). very nice use of colors! What a beauty! My deepest respects for this piece of ASD art. Great to see Romeo Knight is back with awesome music. Only the detailed object in water don't fit to the rest of the style. That's not a typical effect for Traction, that's for the mainstream. My attraction to Traction was always the abstract style. In this demo I did spot some leafs flying around. But the rest was am excellent combo of ASD and Traction style. The growing tree was beautiful. So smooth! My favourite from BP. Very beautiful, and the absolute favourite Traction prod for me ever. This is the sort of stuff we need to save the scene from the "part time game developer, part time scener"-curse. Way too ASD, but I still liked it. The tree is yes! Sweet 2D and music too. Good job guys. seems I'll love everything they'll do! simple, effective, inspired... and cool music. my prefered BP07 demo. Romeo is still rocking. Couldn't believe my ears when I heard this fantastic track. Immediately thought: "Great work, Amusic!" But then I saw the credits saying it was composed by Romeo Knight... Awesome! I really liked this one.... after a lot of craps shown of the big screen.... refreshing ! Beautiful! Welcome back Romeo Knight. ... and warm greetings to Brainstorm for the bringing this Romeo Night into demos. Whoever he is: Welcome! Welcome to the demoscene Romeo Night! Traction and Brainstorm meet once again, this time with an even better demo!! probably the most mature demo Preacher ever did - lovely in every aspect. this is a damn cool demo, but hardly a second where i don't think of ASD, just without the huge amount of triple-a modelling. and when i finally came to the conclusion they have thier own direction, the guitars rock in and everything feels greek again. anyway, once i can get my mind clear of that ASD-connection, this will be an enjoyable demo of highest standards. Well done with a nice soundtrack by Romeo Knight - welcome back. one of the most beautiful demos i have seen. a perfect combination of traction style and asd style. soundtrack is great, too. would have been perfect if that greyish object and the leaves would have been left out. Traction remains one of my favorite groups. I love this demo, but it is the destinct traction-"effects-en-masse"-side that makes it rule, not the ASD "one-shot-demo"-style (and definately not the guitar-riff-stuff). All in all very nice! i think because brainstorm made this production too. some cool and original effects (finally!) after "I AM". previous productions from traction were boring. i mean vox dei etc etc. Congratulations ! way which you should go.... but with more 3d in future !! inconspicuously and very nice. don't know if the first word is correct. it's my favorite traction demo till now. Perhaps, i have seen so far best traction demo. style: I feel to ASD + Traction. ASD-feeling is pretty well covered already :) Anyway, really nice thing. Though my daughter says "it's not fairytale, it's magic". nice, very nice, I like that scene showed on the bottom-right of the screenshot very much. We want more. But nonetheless a really great designed demo with cool flow, style and great parts! D'you smell the garden flowers? I liked it. The rainy scene (the bottom-left on the screenshot) and the one following it included the best atmosphere. Sometimes though the demo is not very coherent. You guys should have tweaked this little baby maybe few more weeks but this still is one of the best productions by traction. Beatiful colors, music and atmosphere. Even though most parts had not very impressive code in them.. Very beautiful. Only one important thing was missed - an air. Little glowing particles hanging here and there or something like that, to show the depth of the scene (like ASD did it in their demos). And yes, Romeo Knight is a live legend! what optimus said. I liked mostly the mood and the music. This should've won - or at least placed much higher than just 4th. Beautiful, almost serene experience to watch. I'd like to see demos more like this. Touching... I agree with Optimus on this one! Wow once again coop demo make it !!! my favourite prod from BP to just let run in a loop while cuddling. or something. just beautiful. Liked it at the beginning, but then it started to get annoying. mhh.... sorry but all demos from traction look to equal for me ... its almost the same style ... time for something new ... only my opinion ! added on the 2007-04-13 06:07:58 by DJH of GCS! Very nice atmosphere and flow. I love that particle structures. :D I'm really glad that this demo is different than most of recent Traction prods and I don't see wireframe boxes again. :) Also music rocks! Very nice and calm demo in true Traction style. :) It should have been a little bit shorter I think but anyway, nice to watch. thumbs up just for the great music. the visuals are pretty average and don't match imho. Well. Traction - dots, lines, splines. A little bit boring for me, but the music! Nice, but looked better on the demoscene.tv stream then on my computer. Also please dont copy ASD, their style gets old quickly. Another top notch cast to do a demo. Well, like StingRay I find it a bit long. The length apart I love this demo: code, music, syncro, visuals, effects, flow...this is my cup of tea. Bravo les gars ! Very nice and pretty with decent music. Congrat guys, this prod is really nice! Sorry, definitely not what I like... some scenes are pretty, but it lacks the vibe to get me hooked to the flow. great demo all in all..
absolutly enjoyable, love the rough guitar, and the visuals flows very well with the music. This is a very pleasant demo. Best effects I have seen so far in 2007, good graphics and a great soundtrack. You get the same vote as I gave you at BP: rulez. i Confirm it's the second prod in quality sound scenes lights effects and more ... 2nd place COMPO ! Very pleasing. As several others have said already, it's ASDish (although without the coherence and attention to detail) but still has enough of its own personality to warrant a solid thumb. Trippy. Loved the scece just before the flowers... nice camera movement there. Cheers! dammit, you guys ... you should have gotten top3 or 5 at least :S defo one of the most creative. not graphically groundbreaking, but cleanest, most graceful and just downright visually appealing of the bp demos! plonk420: What part of "ranked : 4th" says they didnt get top5? sweet demo - fantastic tune! Nice demo, very nice music. Very bad luck no not being placed higher. Beautiful, dreamy and a step onwards from the traditional, albeit good, traction productions. Preacher I once criticised a noisey prod you did and said it would be hard for you to get a new style but this is the right direction I feel. This is great and congrats to all involved. It does bare comparison with ASD but keep going! Thankyou, a real pleasure to watch and something I can show my family. yea like a dream- good one nice colors , nice soundtrack. Very, nice! On the one hand it has some really nice scenes and a good sound track. Therefore Thumb Up! But on the other hand may be the file is a bit too big for the content and I am not sure if it is a good idea to be that close to ASD’s style or the popular-demo leaf scene instead of trying to further develop your own style. i have to add that the music is AWESOME. sweet, overloaded, barroque, nice colors and inspired music. Traction rocked my world, once again ! Nice one :) The music is nice and fits the demo perfectly. I like it. The music is very nice even if I usually barf when hearing guitar in a demo full of synthetic imagery. The colours used in the flowing lines parts are great. You get the sensation that the entire rgb palette is showing even if there are only two or three colours + small variations on these making up the lines. When showing demos late at night I always end the show with Fairytale - to round off. Like it, even though it does not pulverize my senses at all. LOVE the colours and especially the "Digital beanstalk" (= the scene just before the glowing flowers) is wicked! Deep respect for Traction for maintining its own unique style while yet going in a slightly different direction than before. No particular highlights, but as a whole it stands out from the crowd and is certainly among my favourites. This really hit a spot here. Very, very good! Since i suggested it for best direction award, I should not forget to thumb. Wonderful colors. I love it. Every scene in this is so beautifully composed, fits the music perfectly, a work of art built from stunning effects, can't gush enough, thumb. the visuals and music are amazing. i sense that asd helped steer it in a certain direction of style, but it's certainly beautiful to me. great comeback for romeo knight. Good stuff! Really picks up in the second half and I love the water scenes. Nicely done, great graphics - the soundtrack is very varied and has some cool parts, but it is a little too varied to my taste. Nice music and most of the scenes look quite pretty. Must express my love for this again. Awesome demo and soundtrack! you know, we build it, and they use it as we use a hammer like a fork... you will have more time to explain them. Good transitions, backgrounds and effects combined to a high quality soundtrack make this demo a very enjoyable experience. watched it so often already and never thumbed? damn! rulez added on the 2008-11-15 17:02:32 by ɧ4ɾɗվ. 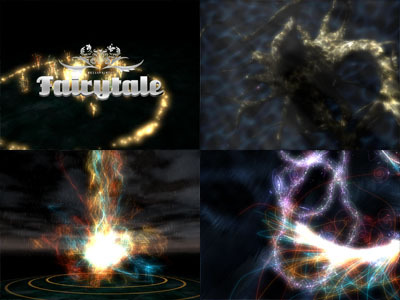 Nice visuals, a music inspired from Joe Satriani, and a charming faerytale world. I'm never bored when watching this one. added on the 2008-12-09 18:40:23 by ɧ4ɾɗվ. When beauty meets 3d graphics, although I missed some transitions between effects. if i would to criticize something, the parts transitions on one of the first scenes dont work well, thats because of different color schemes. though most of the demo looks beautiful. the music is amazing ! Some visuals are nice, others are just ok, the camera work could be improved, and the music and sync make it really cool. nice, colourful scenes & lovely music. "rulez" icon is not enough for this. Very beautiful demo and excellent soundtrack! Lovely atmosphere and soundtrack. Deserved a better spot, but that year's competition was too strong. Really asd-like, and not (just) because of the music. The spiral patterns always remind me of Animal Attraction. Excellent soundtrack even though in general it would be outside my preferences. The synergy is almost exceptional. I have no idea what's going on here but I guess it looked nice. At least the last scene with credits was ethereal! One of the best ones from us, definitely. When we were making this, I had no idea who that "romeo knight" guy was and why everyone was so awed by working with him... when the demo ended and people were cheering, that's when I understood. The scene with the blue spiral and the first heavy bit in the music was coded at the partyplace. When we arrived in Germany, there was just 30 seconds of black there. It felt pretty dismal, then me and rale had a few beers and quickly made that. One of our most enduring things, definitely. Was really happy to come 4th in that kind of a competition. One of my demoscene career highlights, definitely. page created in 0.047880 seconds with 15 queries.